Green Day singer Billie Joe Armstrong has entered rehab to deal with substance abuse issues. It was apparent that Armstrong was under considerable stress during a recent expletive-packed rant at the iHeart Music Radio Festival in Las Vegas. Armstrong was under the impression, incorrect as it turned out, that Green Day’s set was being cut short by broadcasters Clear Channel. He appeared to have a complete emotional meltdown. "Oh f**k this sh*t," he yelled. "I'm gonna play a f**king new song. Give me a f***ng break. One minute left. You're gonna give me one f****g minute?" He continued at some length, but we’ll spare you most of the the swear words. "Let me tell you something, I've been around since 19-f***ing 8. And you're gonna give me one minute? You've gotta be kidding me! You’re kidding me. What the f**k! I'm not Justin Bieber, you motherf***ers." Green Day have had a busy year, which might explain some of the singer’s frustration. Their jukebox musical American Idiot is touring the world’s theatres. They have just released Uno, the first of a trilogy of albums, with Dos and Tre coming along soon. Armstrong’s stint in rehab means they will be scaling back promotional events to coincide with the album releases. 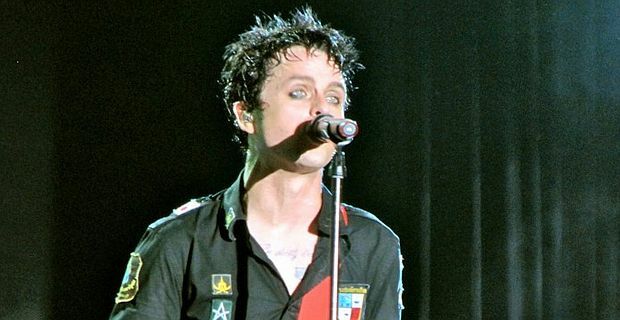 The band’s website issued a simple statement: "Billie Joe is seeking treatment for substance abuse. We would like everyone to know that our set was not cut short by Clear Channel and to apologise to those we offended at the iHeartRadio Festival in Las Vegas."